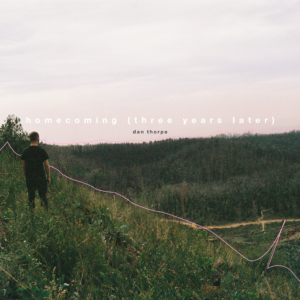 homecoming (three years later) is about loss and healing. After the sudden loss of his best friend, Dan Thorpe rushed across the interior of Australia with a car full of instruments and performance gear, and across the Pacific Ocean to California to get to the funeral. This work is recorded fragments of his recovery: first in California, later on New Zealand’s South Island, later still on a piano prepared with remnants of his foreign currency between the strings. What results is somewhere between a diary and an act of self-healing, a requiem and the sound of life going on, regardless. Supported by bay area dream-pop wizards GENUIS. A Portrait of the Ocean in Static from Daniel Thorpe on Vimeo.